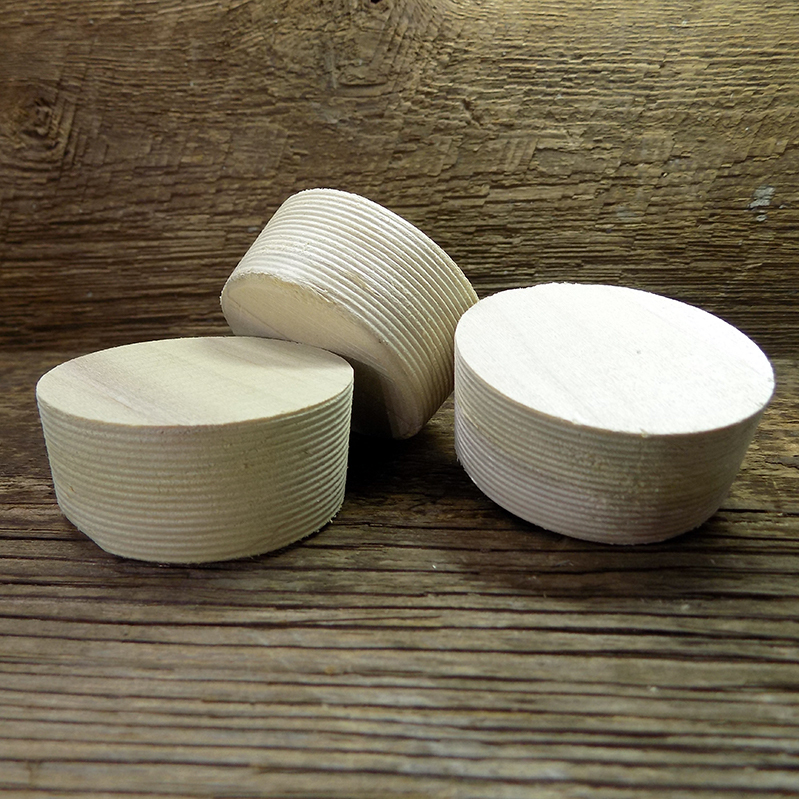 Our wooden beer bungs begin with chemical-free poplar hardwood lumber that is face cut. We use our patented ribbing process that helps seal the beer in the barrel. Our process is proven effective and we are proud to be the only manufacturer of compressed wooden beer bungs in the country. While the larger beer manufacturers have moved away to a solid weld keg, the older style kegs are very popular among the smaller high quality micro breweries!